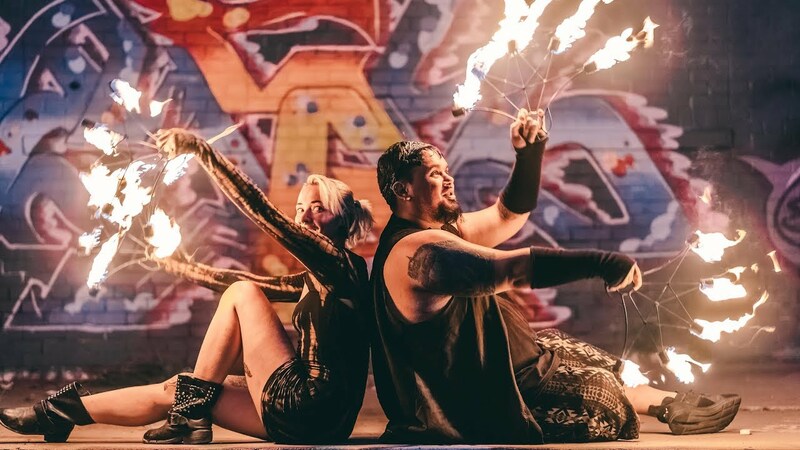 Professional and insured, we are a fire performance duo that will always push past expectations. 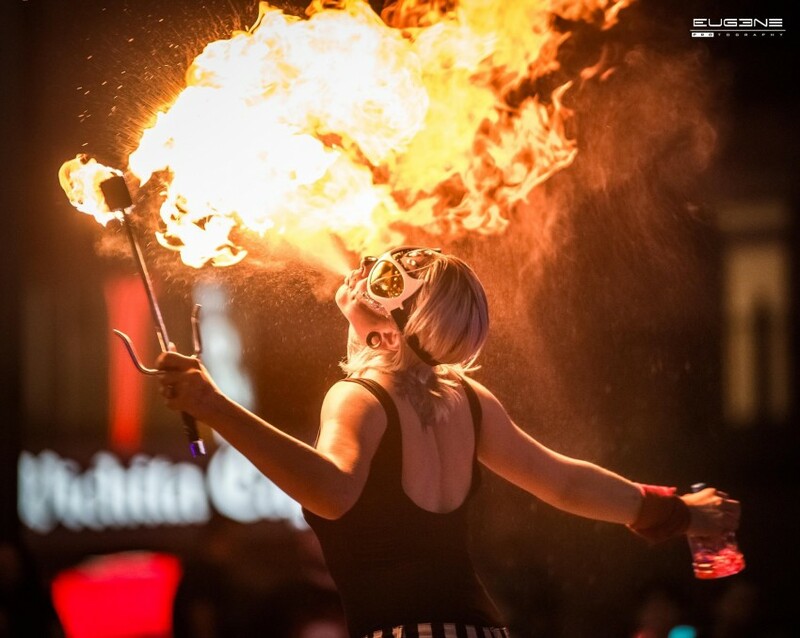 With a full line up of props, we have 5 years of performing and entertaining experience. We spend hours upon hours perfecting choreography and drilling our tricks as to leave the audience immersed and our clients completely satisfied. 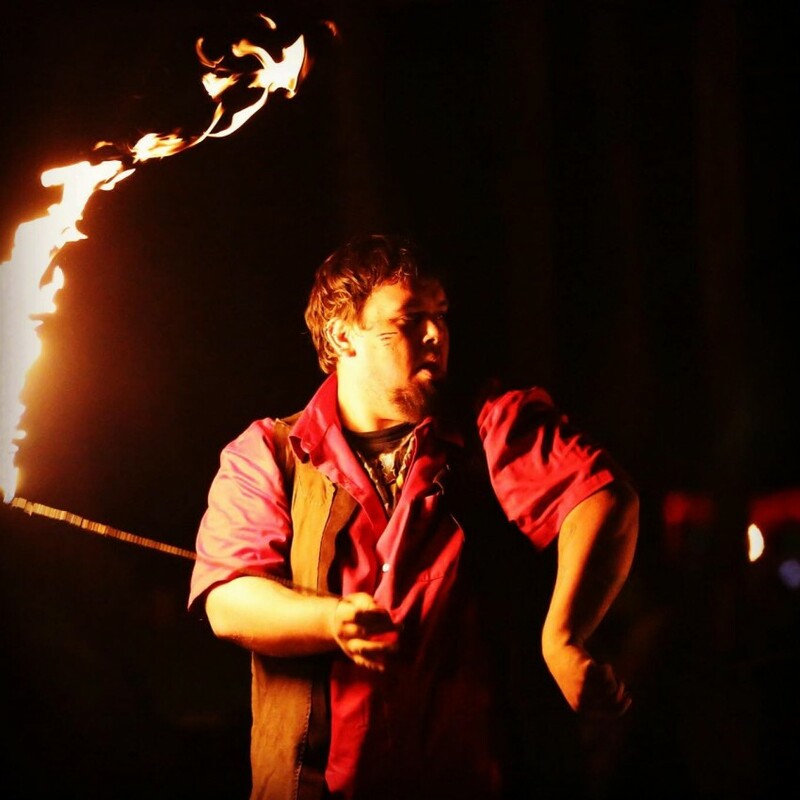 We offer anything from 15-45 minute fire and or LED shows. These chows can be a rotation of our prop lineup or a custom performance piece or duo for your specific event. We costume very well and can plan accordingly to your theme. At clients request we can provide music, either through our sound system and preplanned tracks or with a DJ. We can provide set up and tear down of our geo dome and light system. 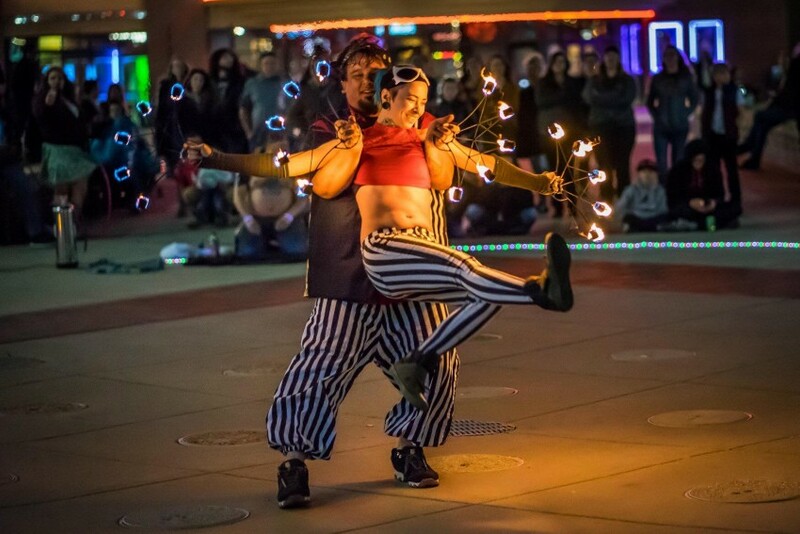 Fire performers with FLAIR. Starting five years ago as emerging flow artists, we picked up into the local scene before it really blossomed into the large scale production it is today. We have trained with many large names in the flow arts community to further our skills as performers, working on making our technical skill as clean and precise as possible. 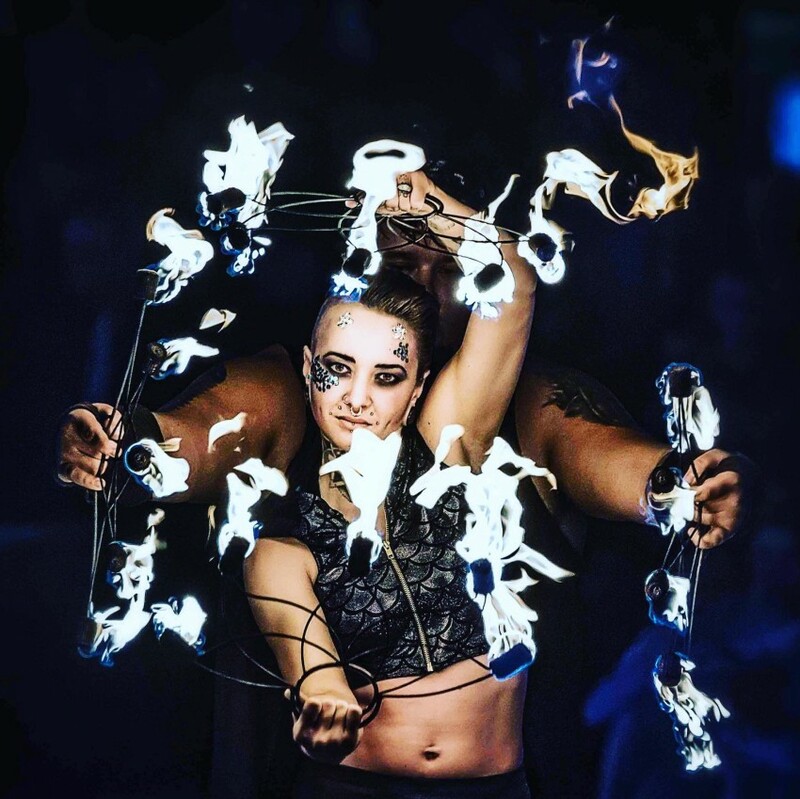 With a full range of performance props, including, but not limited to fans, staves, hoops, poi, and breathing, we like to consider ourselves the full package. We spend quality time working on choreography and partner performances, as well as individual growing in our respective props. With safety and satisfaction in mind, we are insured and have taken the proper courses to be safe and leave our location as we came to it. Should you be interested in a larger scale production, we also have access to sound equipment, DJs, lighting production and structure to really amplify your event and your experience. For a fire performance we require a space at minimum 15ft away from the audience and a safe space to fuel our props. This is fire, and though we are trained to perform with it, doing any indoor shows is up to the discretion of the owner of the venue or location. Please make sure the proper permits are acquired for the event should you need it. There is to be an understanding that severe/inclement weather can prevent us from performing. There will be no refunds of deposits up to one week before a planned performance.